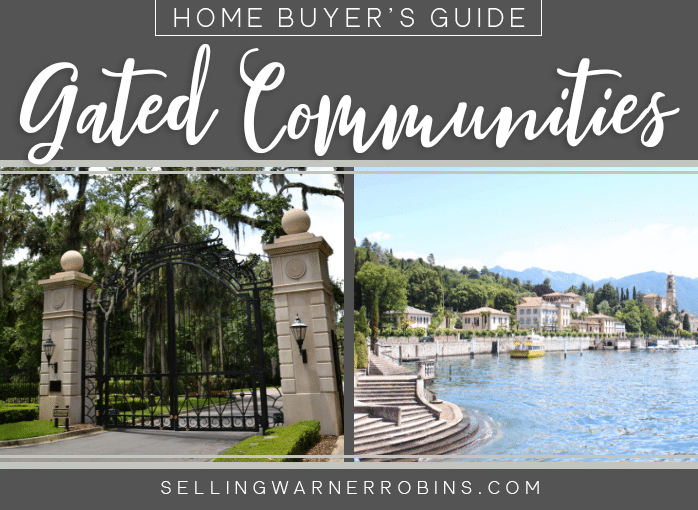 If you are looking at purchasing a home in a gated community, know in advance what is important to you so you can quickly add or delete a community to/from your short list. If you are looking for extra security and privacy, a gated community may be the right choice for you. You will become part of a homeowners association (HOA) and must follow their rules and regulations, which helps to create a uniform, nicely landscaped community. If you are seriously considering buying a home in a gated community, whether a house, villa, condo or townhouse, there are several things to consider before moving ahead. Most have restrictions you need to understand (i.e. RV/boat parking, yard maintenance, exterior paint colors, etc.) before committing to this type of living. 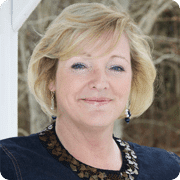 The key is to pre-determine what is important to you, do your homework on the available communities, then hire a top real estate agent to assist with your property search. First you need to decide what type of gated community you would like to live in, because there are many different types of gated communities, each with its own pros and cons. Some people feel more secure living in a gated community, in general; others not. This is definitely a personal preference. According to research by the American Real Estate Society…On average, homes in gated communities net $30K more! Regardless of which type of gated community you ultimately decide to live in, you must become a member of the homeowners association of that particular community. Here are several types of gated communities worth considering if this type of living appeals to you. There are gated golf communities with mandatory equities. In this type of gated community, commonly referred to as a country club, you have to pay an equity fee along with yearly dues, in addition to your monthly homeowners’ fees. Most golf clubs are not new. There is a need to bring the clubs to today’s standards to attract new members. They have to keep up with newer communities. So they redo the clubhouses. Large fitness centers and spas are added, amenities that were not as common years ago. Tennis courts and golf courses get redone. A new entrance may be added. In equity country clubs, they do not just redecorate but redo; in other words, they take it to the ground and rebuild. Someone has to pay for all these renovations and that someone are the members of the club, members of the community. This becomes known as an assessment. Assessments are common in equity country clubs. This can be a pricey way to live in a gated community, unless you are a true golfer or want this way of life and do not mind paying for it. There are some country clubs that do not have mandatory membership. That means you may live in the club but do not have to join it and pay the equity. However, you may not be allowed to use the facilities, other than a satellite pool. If you are looking into a non-equity country club, which is also a gated community, check first which facilities, if any, you will be allowed to use. Different communities have different rules so it is paramount you find out what you will have access to before you purchase the property. Guard gated communities are just that; gated communities with a guard at the gate. When you drive up to the community, you are greeted by a guard who will check your ID, see if you were called in and direct you to your destination. Communities that are guard gated typically have clubhouses, pools, fitness centers, tennis and play area for kids. Typically you will only pay a monthly homeowners fee, which usually includes the guard gate, clubhouse, common areas and perhaps lawn care. 55+ guard-gated communities are similar to gated communities. The difference is that 55+ communities are geared towards the over-55 crowd. Depending on the which community you choose, they often have grand clubhouses complete with social halls for shows, card rooms, arts and crafts, billiards, fitness centers, cafes for breakfast and lunch and a social director. Daily exercise classes may be offered, trips, various social clubs to join, outings, shows and more. In a 55+ community, you can be as busy as you want or not. Life is usually centered around the clubhouse. Tennis games, bocce ball, pickle ball, card games, billiards, and arts and crafts are all common in these senior communities. Typically, one person in the household must be 55 to live here. Many will have an 80/20 exception rule, so if you are under 55 and interested in a 55+ guard gated community, ask. That means 20% of the community can be under 55, but no school buses are allowed. There are also gated communities without a guard. These communities may have a virtual gate or locked gates with phone entry. When you pull up to a virtual gate, there is a camera. You will be asked to insert your ID while talking with someone on a screen. There are cameras. Entrance to the subdivision is done virtually in today’s world. Phone entry is just that – you pull up, scroll the directory for the homeowner you are visiting, and punch in the numbers. That triggers their phone to ring and the homeowner will then buzz you in. Homeowners fees in gated communities without a guard tend to be lower, as you are not paying for the guard to sit in the gatehouse, and all that goes along with it. DO I HAVE TO BE A MEMBER OF THE HOMEOWNERS ASSOCIATION? Yes. The answer is absolutely yes. When you buy a home in a gated community, any type of gated community, you automatically become a member of the homeowners association. Being a member of a homeowners association comes with certain responsibilities. Wait! It is not as bad as it sounds. Homeowners associations help keep the community looking well kept and uniform. This, in turn, helps to raise your property values or at least keeps them from dropping. You will not find neighbors with piles of junk or old tires on the side of the house next door, because that would against the rules of the association. When a prospective buyer drives into a gated community, they usually see beautifully landscaped streets and green areas. Gated communities are visually pleasing to the eye, and many buyers like them. Homeowners associations have rules and regulations. For example, the rules may say you cannot paint your house purple. You may love purple and can paint the interior of your house purple from one end to the other, but not the exterior. They will likely have a choice of paint colors every 5 to 7 years, and you can choose an exterior color from one of the colors provided. There will likely be language in the rules relating to no outdoor hanging clotheslines, pet restrictions, and rental restrictions. Some communities allow trucks; others do not. Some allow trucks with writing on the side; others do not. The community may allow you to use magnetic pieces to cover the lettering or ask that trucks be put in the garage. If you own a truck, this is a question to ask before you buy into any community. Homeowner associations like to keep things looking nice, neat and well manicured. They want their communities to be inviting to potential buyers and a nice place to call home for the homeowners residing there . For many people, these rules are not a problem, and they do not mind following them. Except for one community I lived in. Wait, this was a good one! Someone placed a full-sized cow, complete with a red ribbon and bell, on their front lawn. Yes, a cow! Needless to say, the neighbors were very upset. The association made the homeowners remove the cow from their lawn, which they did. However, this was a corner house. In their side window, hanging from the ceiling inside the house was a full-size orangutan, which was visible from the street. Since the orangutan was inside their house, they were allowed to have it. This was an unusual situation. Most people would not think of putting a cow on their front lawn! Having an active homeowners association in-place will ensure it never happens in your neighborhood! Some gated communities have restrictions on pets. These restrictions may vary from how many pets you may have to what breeds may be excluded from the community (typically aggressive breeds), and possible weight restrictions. Yes, there are some gated communities have no pet restrictions at all. If you are a pet owner, it is in your best interest to have this information prior to buying or even looking in a community. Why look in a gated community that accepts 2 pets with a maximum weight of 25 lbs each if you have a Golden Retriever? It makes no sense. It would be better to look in a community that has no weight restrictions on pets. Everyone will be happier in the long run. Pets are a part of our families today. Where you go, your pets go. You want to make sure your furry friends will be as welcome as you are in your new home. And, although some communities may have restrictions of up to 25 lbs maximum, there are plenty of communities that accept large dogs. There are all types of pet-friendly gated communities. Do your due diligence. Ask! A great way to find out about the community is to talk to the residents. Once you are inside the community, if you see someone walking a dog or just out for a walk, stop them. Most people will respond positively. Ask questions. Ask how they like living in the community. Is it kept well? Is it run well? You can get the best information from the actual people who live there every day. Consider it research. The more you know about the community before you buy a property, the better. Drive through at different times of the day/night, as you will get different resident views based on their personal preferences, likes, and dislikes. Use this research to make an informed decision about the community. Living in a gated community, you will have homeowners’ fees. Every year the board has a meeting where the budget is discussed. If you are interested, get involved – get on the board. The board tries to keep the maintenance as stable as possible but, from time to time, improvements may be needed. Often times there will be reserves to pay for these things. Other times, they may have the members contribute. Find out what is included in the homeowners fees in the community you are interested in. Does it cover cable? Is it just basic cable, or do they have some sort of package that includes premium channels, internet and phone? Is lawn maintenance included? Is house painting included? Some communities include these things as part of their monthly HOA fees. Always pay your HOA fees. The homeowners association can foreclose on your house faster than a bank, so you do not want to be arrears with them. You can set up automatic withdrawal so you never forget, or they will mail you a coupon book. If you decide, for whatever reason, you want to rent your house, is there a wait to rent? This is important to know because during the boom many investors bought houses, which led to a lot of empty houses in communities. HOA’s got tougher. Many passed a rule that you must wait one year before you can rent your home. Unless you are an investor, this rule helps to keep a sense of community knowing there is not a revolving-door policy. People who are buying in the community plan to live there, and that is what you want. Living in a gated community works great for many people. There are some people who choose not to live in a gated community, because they may want to keep a boat beside their house, which is allowed in non-gated communities, or they just may not like gated communities. But, overall, people like the sense of community living in a gated community brings. Dog walkers get to know other dog walkers. Walkers and joggers get to know others who do the same. People who work out meet others who work out at the gym. There may be a holiday party or a tennis league. Each gated community is a little different. Find one that fits your lifestyle and decide if this right for you. It is not right for everybody, but it may be right for you. Do your homework. It is always best to hire a buyer’s agent because they will tell you about each community. if you are looking for new construction and you go directly to the builder, they will not tell you if one gated community is a better fit for you than another. That is because they work for the builder, not you, the buyer. Always take a buyer’s agent with you, even with – especially with new construction. That new community may be beautiful but the one up the street may be a better fit for what you are looking for. Living in a gated community is a great way to live and you have options. Explore them with your buyer’s agent and decide what works best for you. If you found this article on Purchasing a Home in a Gated Community helpful, please consider sharing it socially so other consumers can also benefit from the information provided. Should I Buy A Home In A Gated Community?